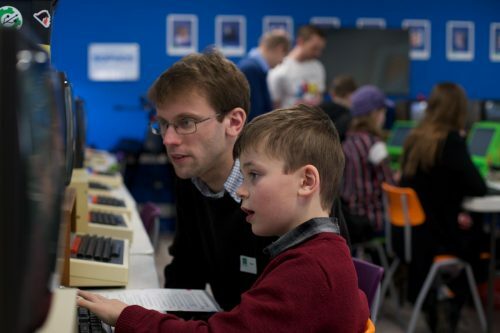 Last week was a very exciting week for us, with the announcement of the National Centre for Computing Education: funded programmes for computing teachers and students for the next four years, to really support the growth and profile of our subject. For me and many others involved in this field over the last decade, it’s an amazing opportunity to have this level of financial support for Computing — something we could previously only dream of. Everybody at Raspberry Pi is very excited about being involved in this important work! 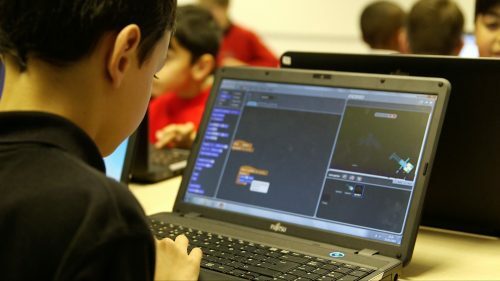 A new Computing curriculum was introduced in England in September 2014, and it comprises three strands: computer science, information technology, and digital literacy. The latter two have been taught in schools for many years, but the computer science strand had not been taught in schools to the pre-16 age group since the 1980s. Two Royal Society reports have been widely influential. Firstly, the Shut Down or Restart report (2012) instigated the curriculum change. To support teachers implementing the new curriculum, the CAS Network of Excellence received a modest amount of funding from 2013–2018; the network has had a great impact on the field already, but clearly more government input was needed. The second report, After the Reboot (2017), evaluated current computing education in schools in the UK. It highlighted the challenges faced by teachers who felt unprepared to deliver the Computing curriculum, and recommended that significant government funding be provided to support teachers — and this has now happened! 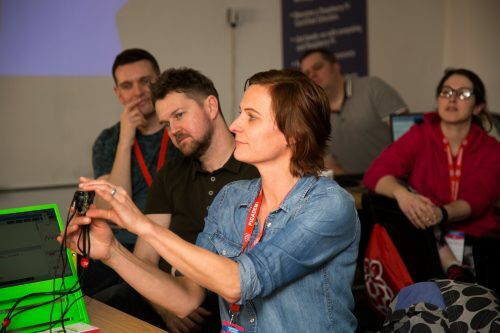 The new programme gives us the opportunity to reach all computing teachers, and to make massive improvements to computing education around the country. What is the National Centre? The National Centre, together with specific support for GCSE and A-Level Computer Science, is a government-funded programme of training and support for computing education. 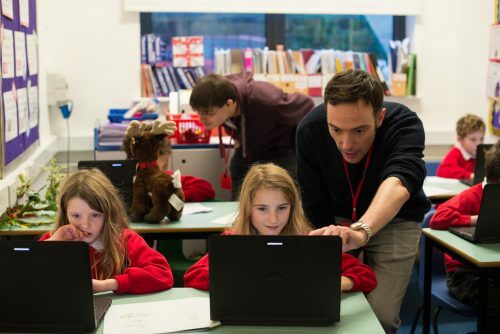 It will lead to a great education in the subject for every child from the beginning of primary school to the end of secondary school, enabling them to develop the valuable skills they need, whether or not they choose computing-related careers. Since last week’s announcement, I’ve received lots of questions from teachers and others about exactly what will be happening and who will be doing the work, and I’ve gathered together answers to many of these questions here. Read on to learn more about our plans. If you are a primary teacher or a secondary teacher at Key Stage 3 or non-GCSE KS4, delivering Computing, either as a classroom teacher or as a specialist, you will be able to access professional learning opportunities (CPD) and resources in your region. Initially these will be available via partners working with us, and from September 2019, you will be able to access them via 40 Computing Hubs. You will be able to register for a certificate and work towards it through a range of activities, working with colleagues and in your region. There will also be a range of online courses to support you at your own pace. Some of these are available now, and many more are to be launched over the next two years. If you teach GCSE Computer Science, or you’d like to, there is a unique programme just for you. Bursaries will be available to enable you to take a series of face-to-face and online courses that best suit your needs: these will range from courses aimed at the completely new-to-GCSE teacher to advanced courses for more experienced teachers who are aiming to stretch and challenge students and to hone their subject knowledge. The online courses will be free for everyone, forever. There will be a diagnostic test to help you plan your journey, and a final assessment to measure your success. You’ll be able to sign up for this programme from January. If you teach A Level Computer Science, or would like to, you will have access to comprehensive resources for students and teachers. There will also be a range of face-to-face events for both students and teachers. These will be starting shortly, so watch out for more news! 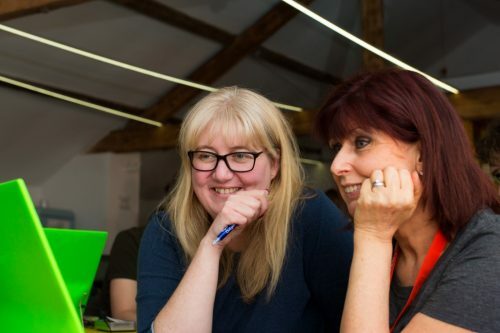 It will take a few months for the Computing Hubs and CPD provision to be available at scale, but in the meantime, there is much within our existing networks that computing teachers can engage with right now: CAS hubs and other events, Code Clubs in schools, STEM Learning training, and our online courses are some examples. We also announced last week that we are looking for new team members to implement our part of the work. Our role involves developing a comprehensive set of resources, lesson plans, and schemes of work from Key Stages 1–4, drawing on the best of existing materials plus some new ones. We will also develop all the online courses. We need content writers to help us with both of these areas. We are working on producing newsletters, case studies, and other publications about evidence-based practice, and this will also be part of the new team’s work. 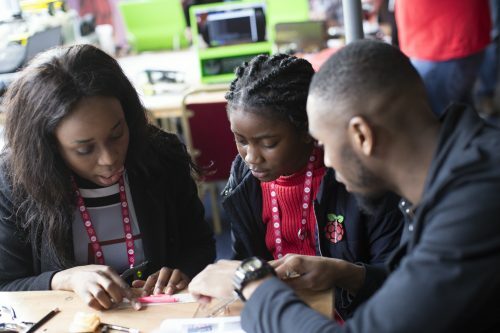 At the Raspberry Pi Foundation, we will be leading on the A Level Computer Science programme content, so we have opportunities for people with the skills and experience to focus on this area. Many of these roles are available if you want to work remotely, but more senior jobs will involve regular days in Cambridge. We also have fixed-term, part-time work available. You can find all our current job openings on this page. Finally, as a team, we want to visit lots of schools to see what you need and listen to your thoughts, so that we can get our work right for you. If you’d like to support us in that, please get in touch by emailing [email protected]. 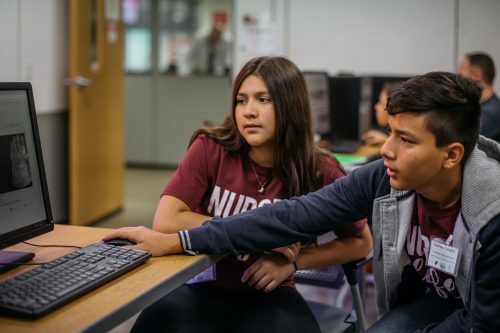 STEM Learning, one of our two consortium partners, will be commissioning the 40 Hubs, and they will also be responsible for face-to-face training. The Hubs will become centres of excellence for computing, where teachers can find regional support. Existing CAS (Computing At School) communities will be linked to the 40 Hubs, and CAS Hubs will also play a really important part in the new structure. Our other partner, BCS, will be supporting certification, building on the work they have already done with the BCS Certificate in Computer Science Teaching. You will be able to access everything you need on the website of the National Centre for Computing Education, where you’ll soon be able to learn where to find your Computing Hub or local CAS communities and discover what is happening in your region. Across the consortium we have teams of people who are deeply committed to computing, to Computing At School (CAS), and to teaching; most of us have recent teaching experience ourselves. Our first priority is to work with teachers collegially to meet your needs and make life easier for you. So follow the National Centre on Twitter, talk to us, and give us your feedback! This post has been all about teachers in England, but our free online resources will be available to anyone, anywhere in the world. If you want to talk to us about the needs in your country, do get in touch. I’m not a teacher but I’ll be looking into this myself as I work within a school. It would be nice if all of these materials could be made available to everyone. There are many families who homeschool their kids in the US and elsewhere when local gov’t run schools don’t provide quality education. As an engineer I teach my young kids about logic, networking, security & the beginnings of circuitry and programming, none of which are available at the local gov’t run schools. But having actual curriculum resources would go miles for someone like me. That doesn’t include the parts that are not thiers (I assume not RPF’s). But then why should it, why should the English tax payers pay to educate the USA children, England already doesn’t have enough money available to keep our schools open and school workers in jobs. The USA should either help pay for the resources England pays for or stump up and help make its own. (ideally it should all be opened up and everyone should share to enhance the world, but it doesn’t work like that). In your post, you mentioned that we should get in touch but there is no email address for us to do so. If you scroll right down to the bottom of the page, you’ll find a “Contact us” link at the bottom left.